Being the owner of a small business is a tough gig. It’s unlikely you are nestled in a luxurious office, behind a grand desk, pondering what wine to have with lunch before your afternoon round of golf. Far more likely is that you’re on the tools, getting stuck into the business of your business, with a full day of work ahead and an evening of reviewing the books to follow. Instead of an accountant, it’s you who is thinking about cashflow, productivity and profitability; instead of a general manager, it’s you who is contemplating regulations, processes and development; instead of a marketing manager, it’s you who is thinking about social media, advertising and online engagement . . . the jobs to be done seem endless. It would be a great help then, if there was a way to bring at least some of these chores together into one system and simplify and streamline the process to such a degree that not only do you save time, you also make money. Enter WorkGuru, a cloud-based application that promises just that. It’s an easy-to-use, simple solution (as the best ideas often are) to some of the frustrations of running a small business. It brings together the disparate administrative parts of the process and offers real-time visibility on a business’s performance, allowing for clarity over where money is made and lost, business capacity, and predictability of revenue through scheduling and forecasting. With some tweaks and customisation to the auto industry’s specific requirements, it looks set to become the central tool a workshop business needs to run smoothly and efficiently. WorkGuru was developed by Tony Harcourt and Michael Davis, business consultants who, after years of advising companies on how to solve problems and improve profitability, saw how a program such as WorkGuru could be a reasonably priced competitor to the massively expensive Enterprise Resource Planning systems employed by large corporations. “We were constantly being asked about the same things,” said Tony. “People wanted project management combined with inventory; or project management combined with scheduling; or asset management combined with inventory; all manner of things. There wasn’t a viable solution to offer them, so we decided to create a product that could do the job. For workshops, the program can be used to create a quote for a job; schedule that job into a bay or to a particular technician; record the time taken for the job and, if it’s a fixed price piece of work, invoice at that fixed price while also recording the actual, true costs. It can raise an invoice to send to the client, and information on components and stock needed for jobs is recorded and used to ensure that inventory levels are always where they should be. There is also a nifty feature called ‘Project Groups’ – a handy component for workshops with a fleet servicing aspect to their business. “If, for example, you’re servicing 20 vehicles for a client, you can create a project group to record the servicing of each one of those vehicles and, when they are complete, roll up all of those jobs and package them, with the click of one button, to create either an invoice per vehicle, or one invoice for the entire job which contains the information on all the work that has been done,” said Tony. With WorkGuru’s foundation of well-proven processes, systems and procedures already in place, it means that a little customisation is all that is required to tailor it precisely to the needs of the auto industry. And that customisation is currently underway with what is known as ‘beta’ testing being conducted by a number of workshops. Beta testing is important and the WorkGuru team, who are a client of the MTAiQ Innovation Hub, is looking for more workshops to participate in this phase before launching into the market later this year. It’s a great opportunity for MTA Queensland members to have a direct influence on a product that is being built to help them become more efficient, more productive, and more profitable. 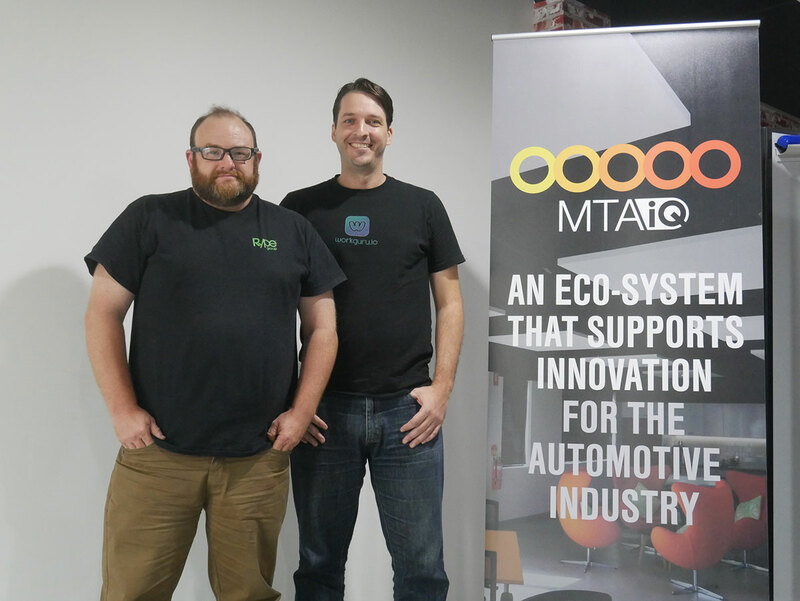 “A key focus of the MTAiQ Innovation Hub is to attract and foster technology that has the potential to help industry navigate new and emerging challenges in the business environment,” said James Orr, Chief Technology Innovation Officer for MTA Queensland. “WorkGuru’s digital workshop management technology presents a real opportunity for our members to benefit and participate in developing a solution that meets industry needs.